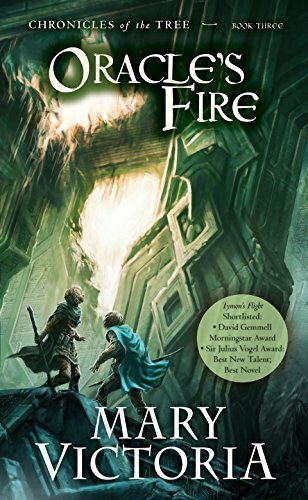 SLH: How did you get started writing fantasy novels? What is it about the fantasy genre that interests you? MV: I suspect I began writing fantasy in response to the sort of books I loved to read, growing up. All writing and reading is a dialogue between the author and the reader, so it’s fair to say my childhood and youth were spent chatting with such fantasy greats as J.R.R. Tolkien, Ursula Le Guin, Rosemary Sutcliff and Mary Stewart! What fun. And no, I never stopped delighting in that conversation. Later, when I had the idea for the Tree series, it was natural for me to respond, or try to respond using the same much-loved language. I lived and breathed the atmosphere of myth and fairytale, folklore and fantasy. SLH: What kind of experience do you hope your reader has when reading one of your books? In your opinion, what should he or she gain from reading a fantasy novel? MV: Again, I would hope the reader enjoys the conversation. It’s a privilege for me to feel connected to others through stories. Good reader, gentle reader . . . please take my stories for what they are worth, as an invitation to dream. May they bring you the same joy I have received through reading. SLH: Some people view the fantasy genre as a form of escape. But there is a powerful argument to made that the creation of alternative worlds in fiction can play an important role in effecting social transformation. Would you please comment? SLH: Let’s talk for a moment about publishing and publishers. I see that you published your trilogy with a major trade publisher in Australia. Do you have any advice for aspiring novelists in terms of getting published? MV: Keep trying! Don’t give up. Never surrender. Writing is a long-distance, endurance event. Believe me, I give myself that same advice, every day . . . and regret it when I don’t listen to me. SLH: The idea of a whole civilization being located inside a tree is fascinating and highly evocative. Please tell us how you came upon the idea of the world tree and what it means to you. MV: Thank you! The idea of a world tree exists in many myths and legends, of course, notably that of Yggdrasil, the giant tree that connects the nine worlds of Norse mythology. There are other examples: it’s surprising how widespread stories of giant or world-encompassing trees are. Perhaps they have a common root . . . if you’ll forgive the metaphor. The Tree isn’t always physical, either: certain esoteric systems incorporate the idea of a metaphysical tree linking the different planes of existence. Consider the Tree of Life in the Jewish Kabbalah, or the Sidrat al-Muntahâ in Islamic tradition. I’ve shamelessly stolen elements of all of these to inform my world building. SLH: In writing as you do about a society that struggles to embrace a scientific understanding of reality, you pose a challenge to fundamentalism. Would you like to comment? MV: That’s right. Reality is understood in two ways by the people of the Tree: through a budding, Renaissance-style interest in the physical sciences, but also by means of magic and mysticism. Both worldviews—that of the scientist, and that of the mystic — are presented as valid ways to make sense of complex truths. One of the characters, the priest Galliano, is tried for heresy because of his obsession with a scientific worldview. Other characters are declared heretics because they espouse a more spiritual system. The rather materialistic Argosian priests are trying to snuff out both approaches to knowledge, while indulging in a kind of sorcery of their own. Or, to be more precise, they would like to control all approaches to knowledge, whether physical or metaphysical. And of course, you can’t do that. Knowledge is inspiration, which always springs anew. SLH: What does grafting mean to you? MV: Grafting is Tree magic, or the underlying spiritual reality in my Tree world. It borrows a great deal from Sufi and other esoteric or mystical schools of thought. The basic idea is that divine energy called ‘the Sap’ flows through all creation, and that human beings can connect with it if, they learn how. This is not a mere force to be harnessed; as the main character, Tymon, finds out in due course, there is an intelligence at play. The task of the Grafter is to become aware of that power and allow it to work through him or her. Sometimes the effects seem typically magical: the Sap might bring visions of the future, or allow communication between people over distances. Those who selfishly harness that power for their own purposes are called sorcerers, however, not Grafters. 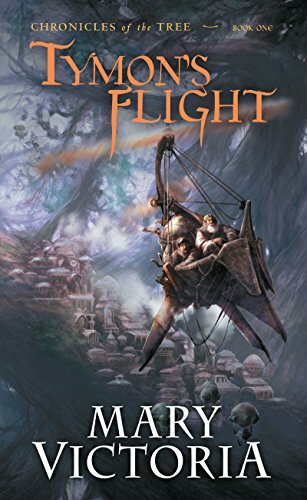 SLH: Tymon’s quest for freedom is a dangerous one, fraught with peril. Is this how you view the quest of the individual who has the courage to challenge social norms and move beyond the status quo? MV: Tymon’s most difficult task is to confront himself. While on the surface of it he rebels against the Argosian priests and his upbringing, this is a classic bildungsroman, the story of a young person growing up and defining his worldview. That comes to be something quite distinct from the one his society accepts as ‘normal’, so yes, he chooses a difficult path. He wouldn’t be a hero if he didn’t! He has challenges to overcome and must confront people who do not have his best interests at heart, but ultimately he is his own worst enemy. He needs to have faith in himself. SLH: In what ways does the vision of the world you explore in your trilogy interface with the Bahá’í vision, worldview, and teachings? MV: The books owe a great deal to Bahá’í mystical literature and terminology, such as that found in The Seven Valleys, which is itself linked with the language of Sufism. Then, of course, we have the image of the Divine Lote Tree, the Sidrat al-Muntahâ, a metaphor for the messenger of God. I suppose my main character also owes his fundamental yearning for freedom and social justice to a Bahá’í viewpoint—why shouldn’t we all get to know each other, and let go of prejudice and bigotry? I think if there is one overall theme in the story, it would be that there are many mystical languages, many paths to the truth. The task of a seeker of truth is to sort out the actual leads from the duds — as the Bible points out, you know them by their fruits. There you have it—another tree metaphor. SLH: Which character most engaged you by the end of the trilogy and why? MV: My overall favorite was Samiha, who comes into her own in the second book but is also a driving force in the first. To say more would really be a spoiler. . . . Artist Statement: Mary Victoria has lived in seven countries and managed to settle permanently in none. This is becoming problematic for customs officials trying to make sense of her passport. She has been at various times in her life a passable nanny, an over-anxious animator, a moody mother and an expert in navigating immigration bureaucracies, and writes stories because she can’t help it — it’s in her blood. One of her ancestors started the trend long ago, spinning yarns to a certain manic-depressive sultan over the course of 2.74 years. Contrary to the tale as it is commonly told, the sultan did not fall in love with his loquacious bride but died of exhaustion waiting for the sequel to come out; and so modern fantasy was born. 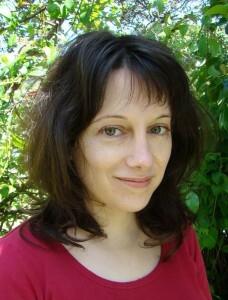 Bio: Mary Victoria was born in 1973 in Turners Falls, Massachusettes. Despite this she managed to live most of her life in other places, including New Zealand, Cyprus, Canada, Sierra Leone, France and the United Kingdom. She worked for ten years in the film industry before turning to full time writing. 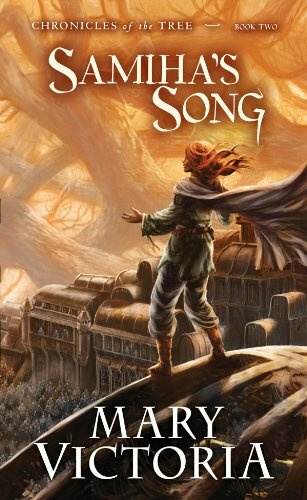 Samiha’s Song”, the second book in her Chronicles of the Tree” series, recently won the 2012 Sir Julius Vogel award for best fantasy.